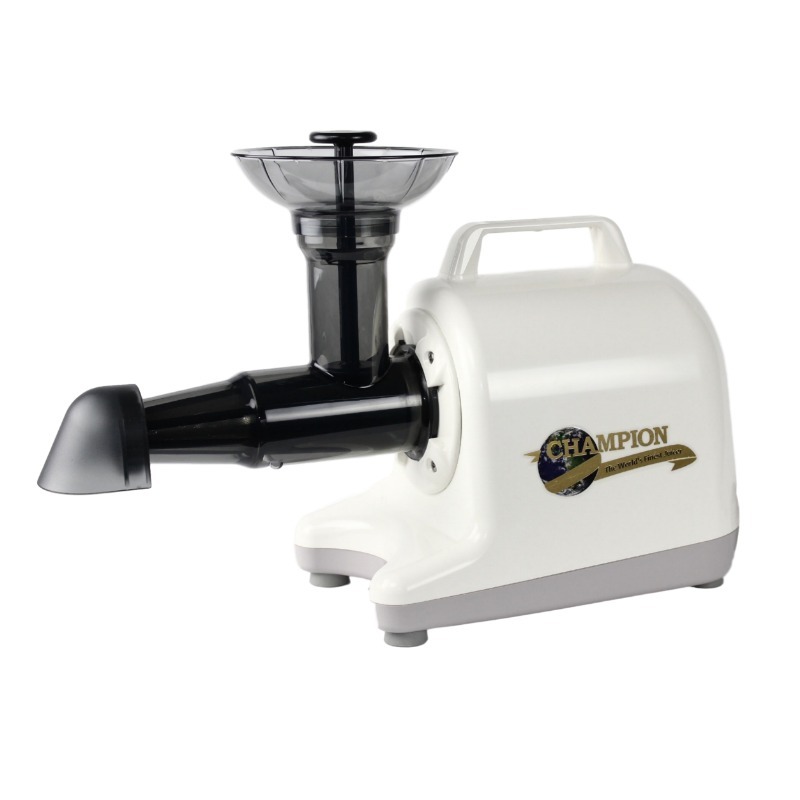 The Champion Professional 5000 dual auger masticating juicer uses a powerful 1/3 HP DC variable-speed motor. 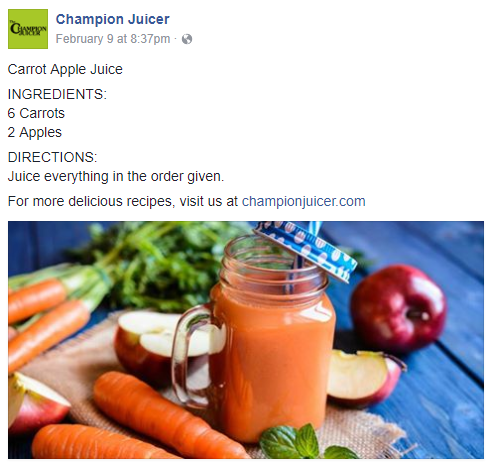 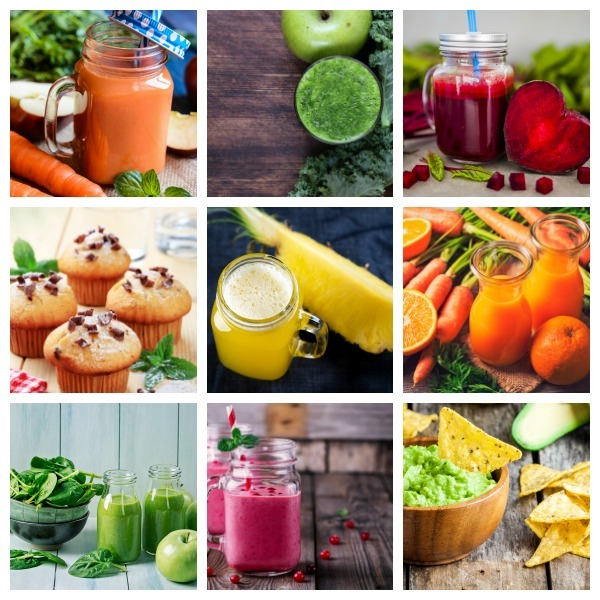 This variable-speed capability makes the Professional 5000 one of the most versatile juicers on the market. 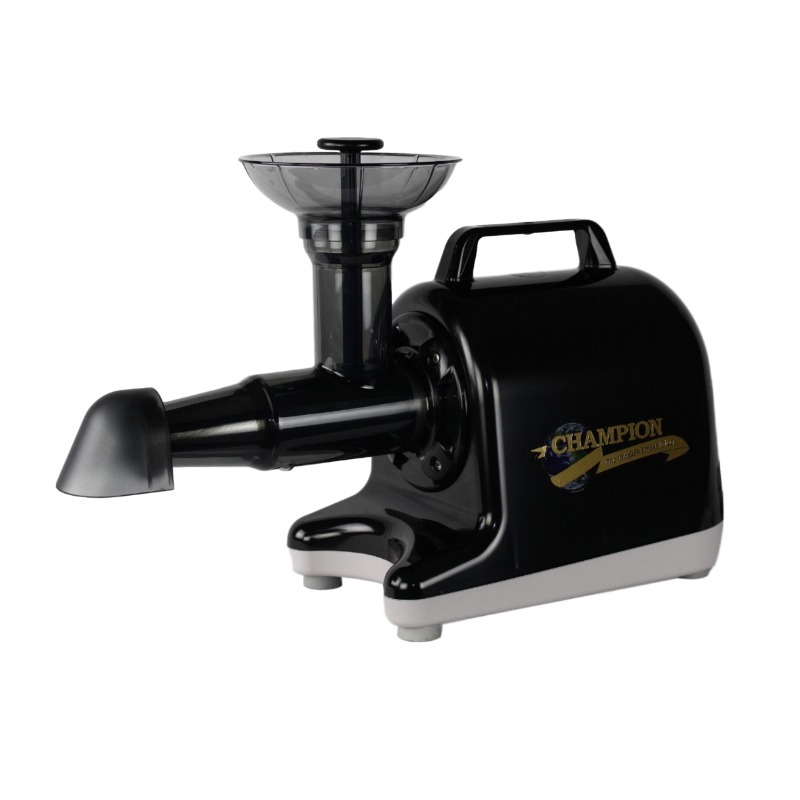 It provides two augers (Grinding or Greens), which enables it to juice hard vegetables, fruit, wheatgrass and leafy greens; and to homogenize for nut butters, frozen fruit smoothies, soups and sauces, as well as shred for salads. 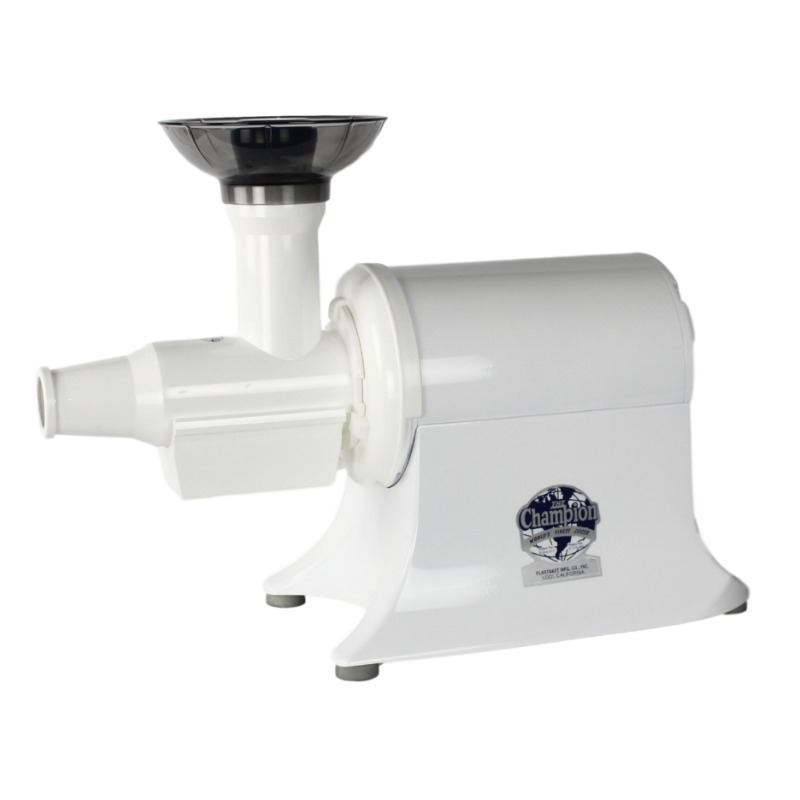 Two augers combined with variable speed allows the user to optimize each process. 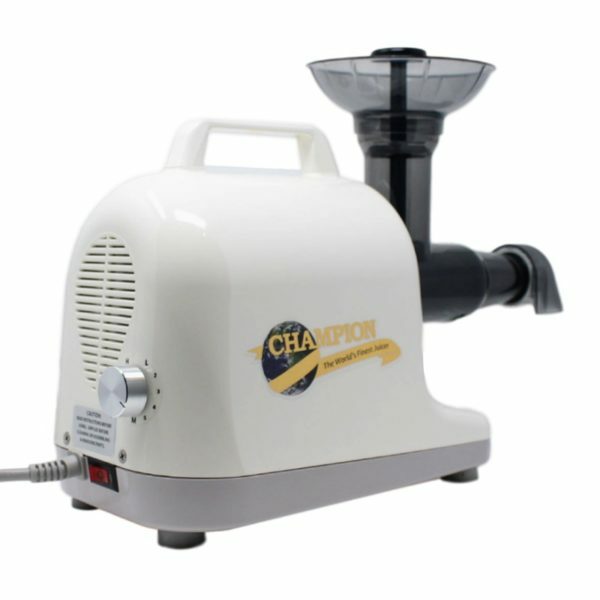 The motor is encased in a durable Poly-Carbonate plastic cover, which will not chip or fade. 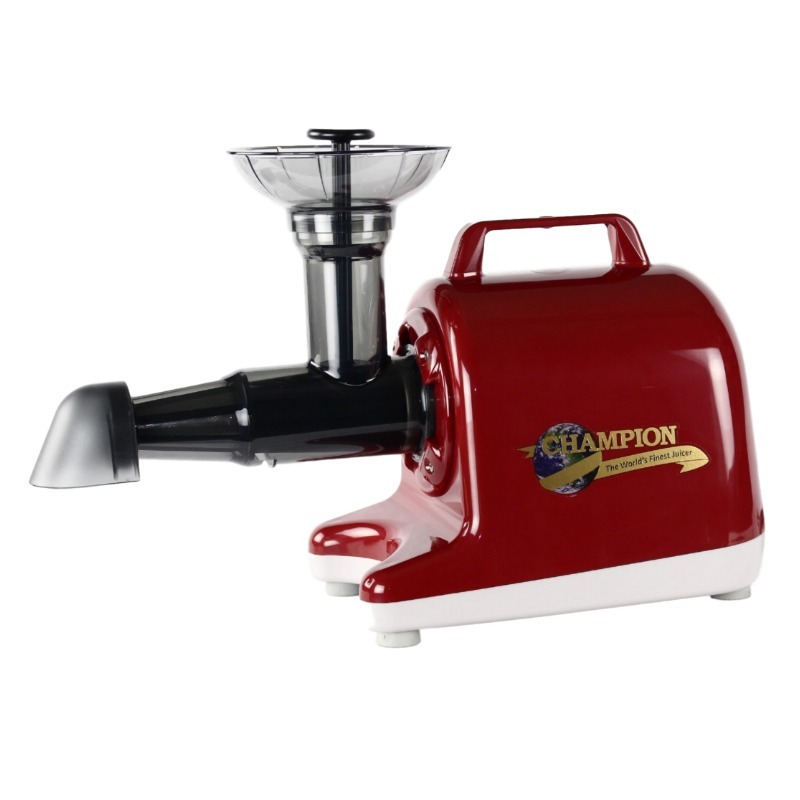 A handle is provided for ease of handling.